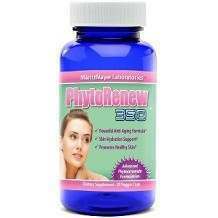 PhytoRenew 350 by Maritz Mayer Laboratories is a reputed anti-aging supplement that fights all the signs of aging in the body. It seems that when we get to a certain age, our bodies start to lose elasticity and the natural glow we had in our younger years. This is due to the fact that Ceramides decrease and they are the ones that are responsible in sustaining hydration in the body. 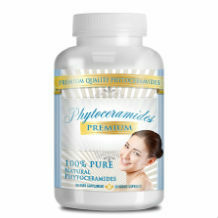 PhytoRenew is known to revitalize skin cells with the help of the Phytoceramides ingredient. It helps in giving the skin renewed elasticity and plumpness. It is recommended by the manufacturer that one capsule is taken daily. Like with all medicines, you should always get advice from a doctor first before deciding to take it. There is caution against breastfeeding or pregnant women. They are advised to seek medical advice first before taking this supplement. It is always important to make sure that you research products and soon after, get some more feedback from other sources, other than the ones selling it. Children under the age of 18 are also strongly advised to seek advice as well. Other than that, there are no side effects written by the manufacturer for this product. There is no amount indicated for this product. They have not given the price for the supplement because they want you to first call them and ask for a free quote. Almost sounds as if they’re selling car insurance instead of supplements. They want to quote you like an insurance company, but for this “out of this world” product whose price cannot be revealed publicly, does not have a guarantee. There is no mention of any kind of guarantee anywhere on the internet. Any consumer should be weary of this because companies that have no guarantees for their products are basically telling you that they don’t stand behind their product. If they have a lack of belief for their product, why should you? They might as well put a huge red flag right next to it. The whole simplicity of buying things online is putting them on your virtual shopping cart and paying for the products, not putting them on the shopping cart, only to have to call someone and get a free quote. There is no price indicated for the product. That would be more than helpful. All in all, The pros about this product is that the ingredients are natural, or so they are reputed. The inclusion of various essential vitamins is surely a plus. You can’t go wrong with that.